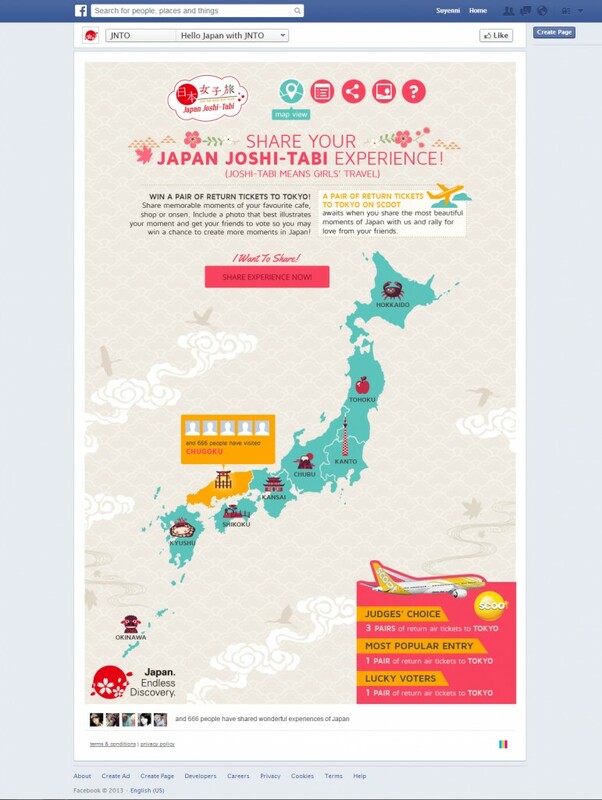 Japan National Tourism Organisation - Joshi-Tabi Experience! 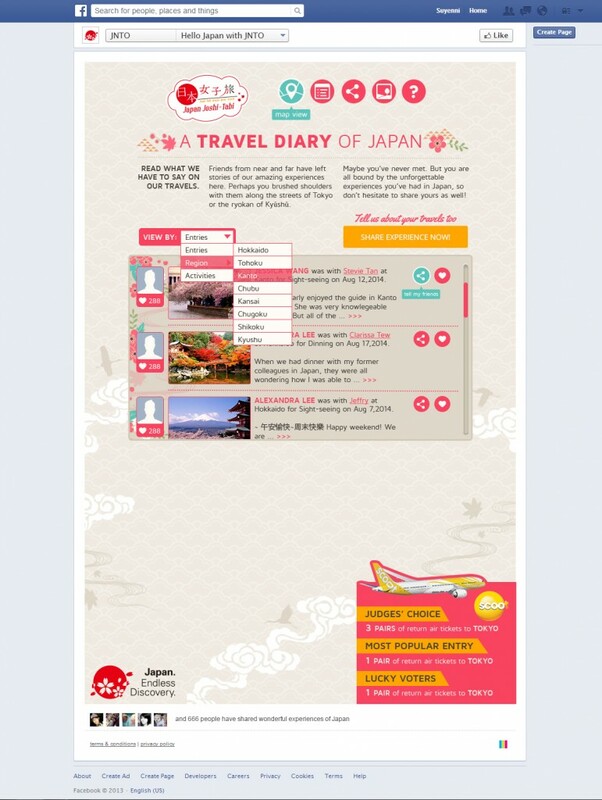 Conceptualised and deployed ‘Joshi-Tabi Experience!’, a digital engagement programme for Japan National Tourism Organisation. 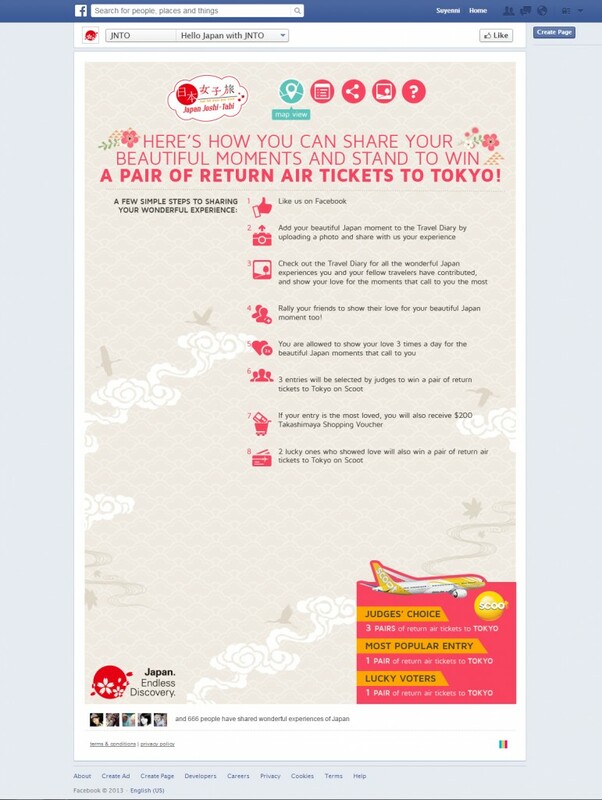 The campaign, that is deployed on both desktop computers and mobile devices, activates Singaporean women to share stories of their travel experience through an interactive map of Japan to be rewarded with trips to Tokyo.